Above: our primer podcast on Q-ing. 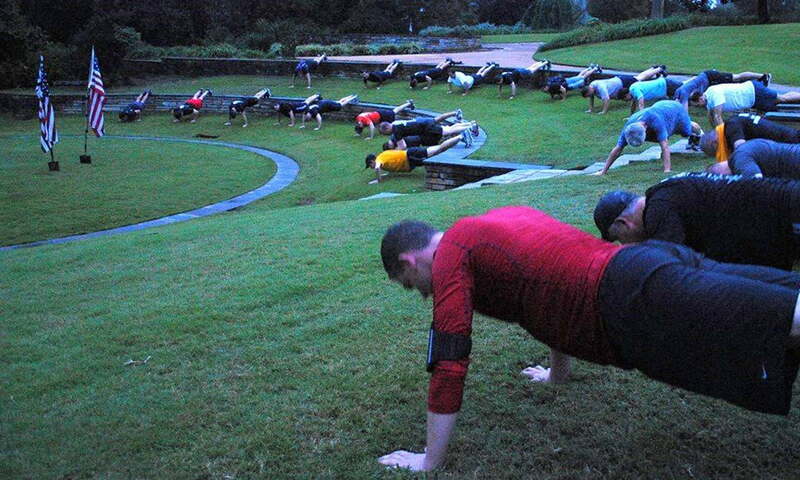 Everyone leads differently, and you are encouraged to bring your own style and workout/exercises to the PAX. The below is intended to help formulate your thoughts and provide some general framework should you need/want the structure. There are really only five principles to making sure this is an F3 workout. Many of these may seem self-explanatory but can get lost in the moment. Start on time. Wear a watch. End on time. Be prepared for your lead to be more strenuous physically than you think. Counting cadence while you exercise can make it harder to breathe. Remember you have help. If for any reason you want someone to grab a part of the workout even while you are out there, speak up. Every man thrashed, no man left behind. To promote “you versus you” but also to keep the PAX together, offer extra credit to the frontrunners via burpees, planks, merkins, etc. Don’t take unnecessary risks or do stupid stuff. The Pax is looking for leadership and will follow often before thinking if they’re getting a great workout. If your region has the Q do the shoutout, think of CoT words in advance. HAVE FUN. F3 groups are always supportive of new Qs. We love to see new people stepping up. Think of the workout as small sections of time. At the start of your workout, you need to give the disclaimer. (In some regions this is only done when FNGs are there.) Specifically, this is a free, volunteer, peer-led workout. You are not a professional. You also have no knowledge of any injuries or fitness considerations. It is each person’s responsibility to be safe and modify exercises if you need to. We all do it, most important thing is that you don’t get hurt. For reference, here’s the full doc. It’s best to start with a CoP, jog, or preferably both to warm up the group. Think of muscles like taffy… when cold, snapping happens easier. When warm, nice and smooth. Put together your plan. Check out the exercise database for inspiration. Lots of great exercises and new Qs frequently find something new here to bring out. If you’re a planner, “schedule” more exercises than there is workout time. Time will pass faster than usual, most likely. Usually you’ll want something that’s a time-eater after a warm-up, search for “routine” in the exercise DB and remember the “pearls on a string” concept. You stop, do something, run to another place, so something else. Near the conclusion, you will need to head back to the start or where you usually do CoT. Here’s where you’ll have some room to do Core exercises. This can be two minutes to six, usually. Count-o-rama, name-o-rama, announcements, and shout-out/words of wisdom. Leader counts the cadence, (1 … 2 … 3 … ), with each number generally corresponding to one movement of the exercise; pax count the repetitions ( … ONE). For many exercises, a completed four-count will correspond to two repetitions of an exercise. Objective: Focusing on proper form accomplishes two objectives simultaneously. Proper form gives maximum exercise benefit and prevents injury. If you can’t do it, don’t Q it. Once your form suffers, halt exercise. Keep your eyes on the Pax. If you are losing more than 10 – 20 percent, halt and move on to next exercise. DON’T: Prescribe one way to do an exercise. Modify as needs require. Is Something Missing You Think Should Be Here?